Eye exams are an important part of your overall health care. They can detect early signs of disease and help keep your eyes healthy. 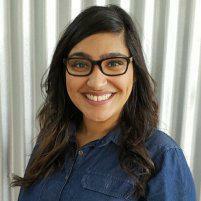 Alisha Poonawala, OD, of Pack Optical in Fort Worth, Texas, gives comprehensive eye exams to assess her patients’ vision and check for signs of disease. To learn how you can benefit from comprehensive eye exams, book an appointment online or over the phone today. During your comprehensive eye exam, Dr. Poonawala assesses your vision and eye health and answers any of your questions. Your eye exam involves vision exercises that allow Dr. Poonawala to assess several factors, including your peripheral vision and how well you’re able to see objects far away and up close. Dr. Poonawala offers Optomap eye testing, where you don’t usually need to be dilated for your eye exam, unlike traditional retinal imaging technology that often requires dilation. With Optomap technology, Dr. Poonawala can take detailed images of your eyes to assess your eye health and check for signs of diseases and conditions, such as glaucoma, diabetes, hypertension, retinal tears and detachments, tumors, and macular degeneration. Optomap can capture more than 80% of your retina in one panoramic image compared to traditional imaging methods that only show around 15% of your retina at one time. Optomap imaging is painless, fast, and comfortable, and nothing touches your eye at any time. Optomap images are created by noninvasive, low-intensity scanning lasers and are suitable for the whole family. Your Optomap eye exam simply involves you looking into the device, one eye at a time, just like looking through a keyhole. You’ll see a comfortable flash of light that lets you know the image of your retina has been taken. The capture takes less than a second, and the images are immediately available for review. Your child’s first eye exam should take place by the time they’re 6 months old since this is when certain eye complications can begin. Another exam is recommended by age 3, and again before they begin first grade. Comprehensive eye exams help to protect you against eye conditions that may lead to serious complications, including blindness. Some eye diseases have little to no symptoms, and they can go unnoticed without an eye exam. An eye exam allows Dr. Poonawala to identify abnormalities and eye diseases and catch them early when they can be better treated. An eye exam also helps Dr. Poonawala manage any pre-existing conditions you might have. Dr. Poonawala can write you a prescription for corrective eyewear, such as eyeglasses, contact lenses, sunglasses, and specialty glasses or lenses if the eye exam reveals any issues. It’s important to keep up to date with your eye exams. Call Pack Optical to schedule your eye exam or book an appointment online today.